I don't even know where to begin with this book. Madame X was nothing like I expected it to be, in the greatest possible way. First off, let me say that Jasinda Wilder is a masterful storyteller. She has a way with words that often times is poetic, and always highly intelligent. 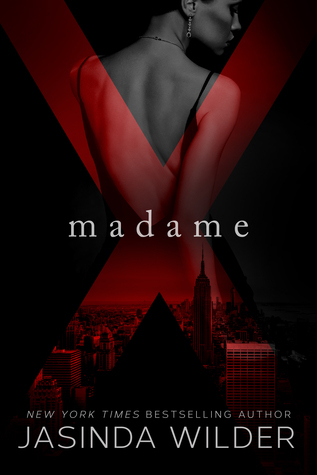 Madame X is written in the second person. I don't think the story could have been told in any other way. I just don't think I, as the reader, would have gotten the same emotions ripped out of me, had Madame X been written in a different person. Gripping. Page turning. Madame X had me at the edge of my seat, not wanting to put it down, and thinking about it when I wasn't able to read it. Madame X is an onion. Layer upon layer of mystery and suspense and confusion and fear. Sick and twisted games are being played, and by the end of the book, there are still layers upon layers that have yet to be revealed. I just don't know how Jasinda Wilder did it. I know it seems that I should have given this book a 5 Owl Rating, and I would have, I really would have, but some of the decisions that Madame X made, had me real pissed off. Pissed off to the point where I wanted to physically throttle a fictional her. Other than that, this book was utterly flawless, and I cannot wait to dive into the next installment!